This year so far can be described as snowy and rainy. Whilst it looks like we’ve finally said goodbye to the snow, the rain arrived and it hasn’t left. 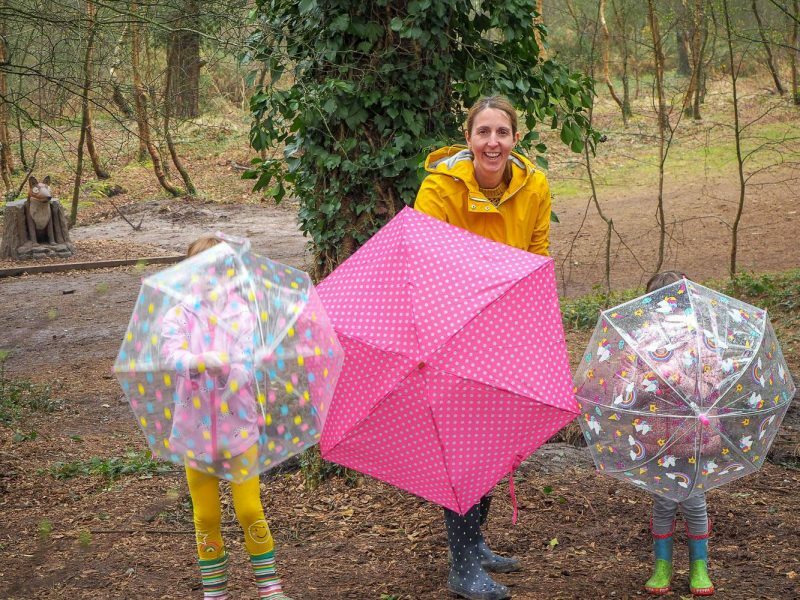 These Easter holidays have been very wet, which has meant lots of time indoors and getting outdoors when we can. 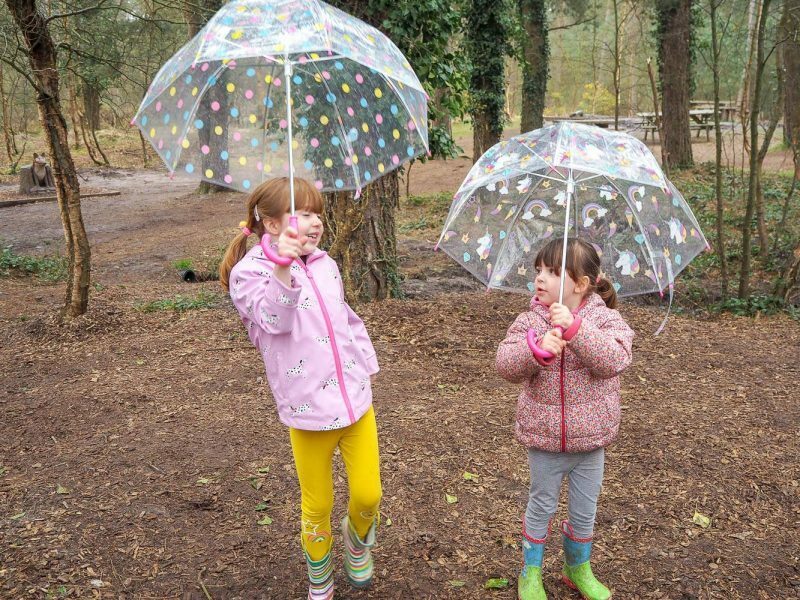 The girls and I were recently sent us new umbrellas from Susino, to help us get outdoors more and keep dry. 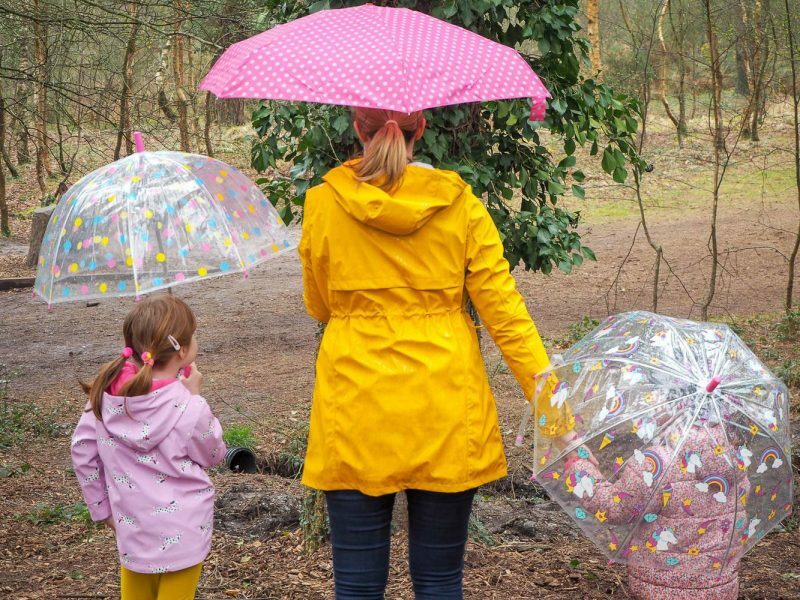 I don’t know about your children, but my girls are obsessed with umbrellas. They always want to hold mine and I end up wet! They were very exciting to see they had their own umbrellas. Alice’s is a dome spotty one and Holly’s is a dome unicorn one, she literally jumped up and down when she saw them. 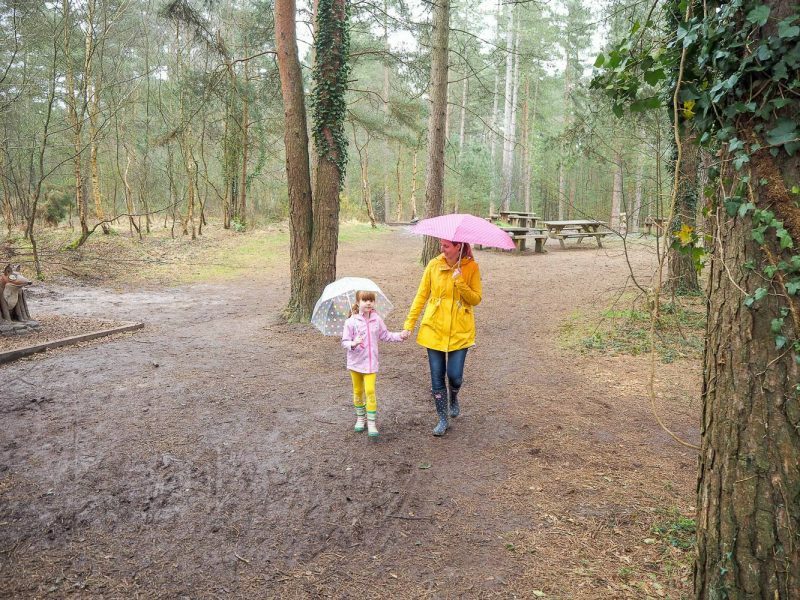 I love the dome style umbrellas for children, as they can still see where they are walking and everything around them. 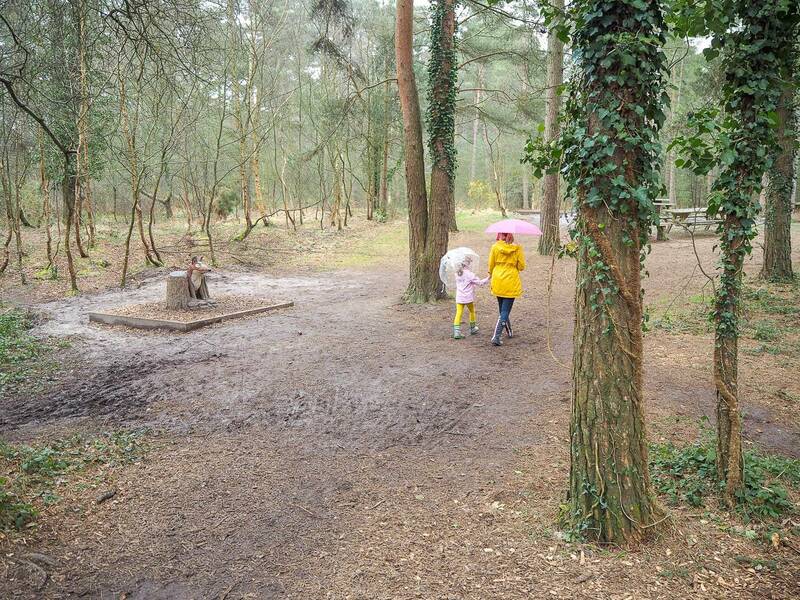 The girls don’t mind the rain and with their wellies and raincoats on they are more than happy to go for a walk. We have a woods near us and often head over there for a walk at the weekend. 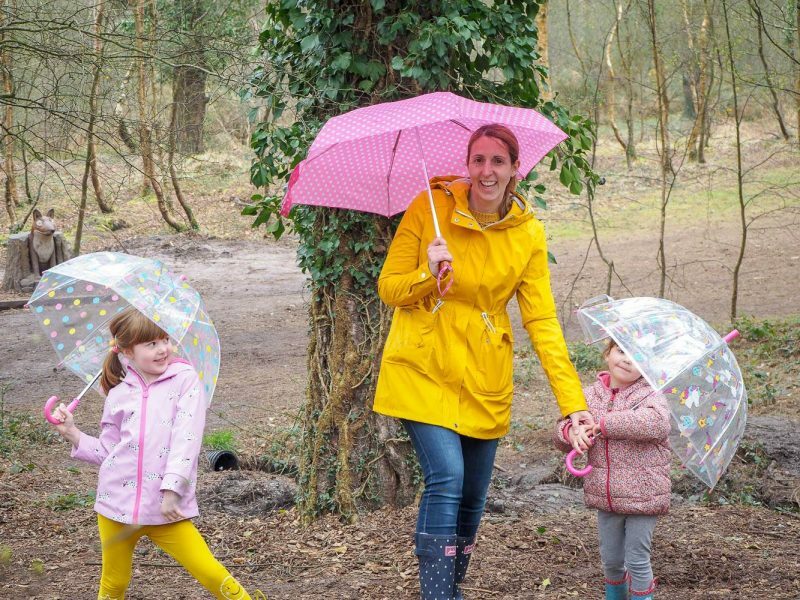 With it being Easter holidays we went further afield this time and getting outside for some fresh air no matter what the weather really makes a difference. 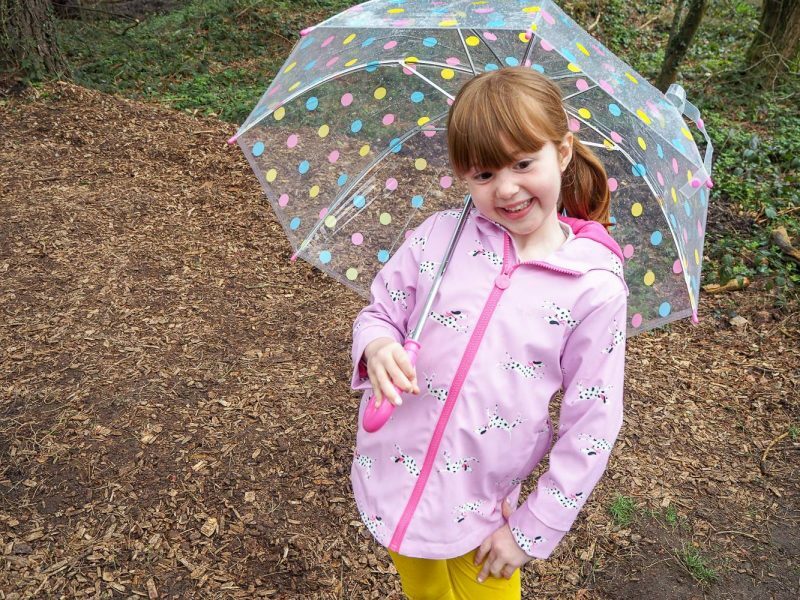 We all felt happy to be outside, the girls loved their new umbrellas and it was a nice simple way to spend a couple of hours. I loved that my umbrella was a mini compact one, as it folds up nice and small and I can easily carry it around it my bag. All ready for those unexpected showers. The umbrellas kept us nice and dry and the girls didn’t once ask me to carry them. Winning at parenting! Whilst I’m secretly hoping that the wet weather is coming to an end and the sun will finally arrive. I think the girls are more than happy for the rain to come, as they ask all the time if they take their umbrellas again. With the english weather we all know that no 2 days are the same and I’m sure they will be making the odd appearance over the next few months. Disclosure: We were kindly sent our umbrellas in return for an honest review. All views, opinions and photos are my own.